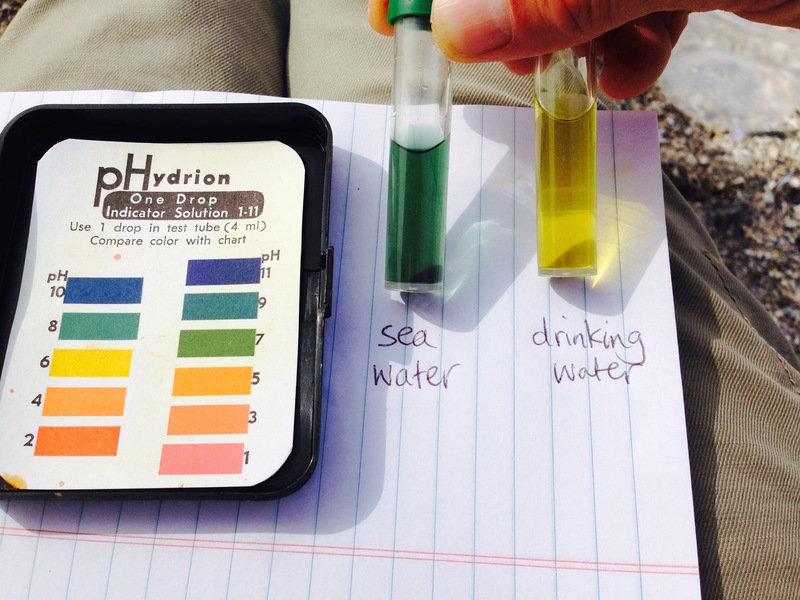 Use a pH test to find out whether different kinds of water are acidic, basic or neutral. Test seawater for pH (it is generally pH 8 or basic). Compare to drinking water (neutral or slightly acidic). Compare to stream water (usually neutral). Students might also want to test the pH of their spit (neutral).